The safety and well-being of everyone that visits Tanglewood is of upmost importance. In particular this includes measures for safeguarding children and risk assessments for our locations and activities. The Tanglewood Outdoor Education team are qualified First Aiders, DBS checked at the enhanced level and are trained to carry out risk assessments. Between us we have over 50 years of experience in managing groups outdoors, minimizing and controlling risk and demonstrating “best-practice” throughout our programmes. Tanglewood holds £5m public liability insurance. Many of the activities include a level of risk. 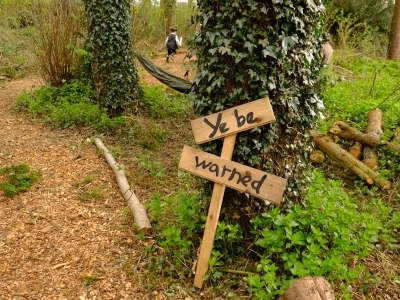 For example, den building (with natural materials like sticks and trees as well as man-made materials like ropes, tarps and pegs), stream dipping with nets, running and walking (on uneven ground where there may be tree roots, logs, sticks, twigs and mud), using a hammock, using tools, lighting camp fires, cooking and toasting marshmallows. If you consider these types of activities and their inherent risks to be unacceptable for you, your child / children or group then you and they should not participate. The environment, including the wood, grass areas and countryside, has inherent risks associated as much of the areas are natural terrain where there will be trees, tree roots, branches, logs, sticks, twigs, uneven ground, ditches, mud, tufts of grass etc. There is an inevitable responsibility on each individual, both children and grown-ups to take responsibility for their own safety as well as that of others. If you consider this environment to be unacceptable in terms of experience and inherent risks for you, your child / children or group then you and they should not participate. 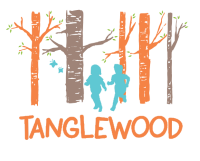 Tanglewood aims to provide children with more freedom for natural and good old-fashioned fun in open spaces and to learn in a positive flexible environment. We believe that this freedom enables children especially to learn about risk and to learn how to manage their own exposure to risk - greatly assisting their development, understanding and perspectives as they grow older.